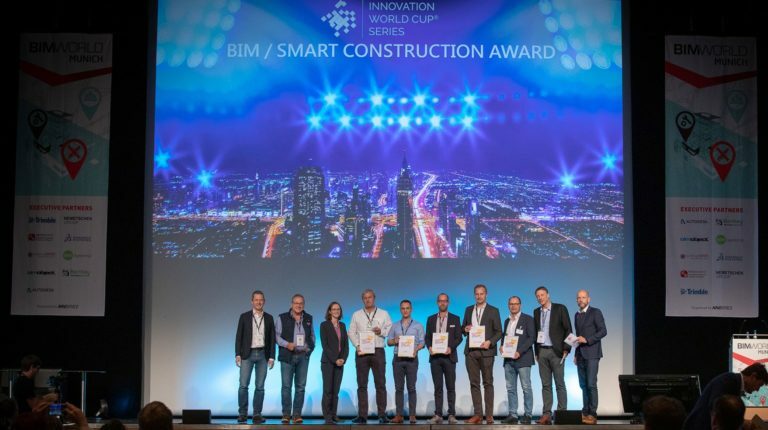 Munich December 4th, 2018 – The winner of the BIM / Smart Construction Award has been awarded! On November 27, one part of the exhibition area of the BIM World MUNICH, the biggest digital event for the construction and real estate industry, turned into the BIM Town of innovations where 29 startups gathered to present their groundbreaking solutions at the brand new BIM Town Innovation Stage. 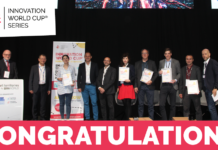 After the exciting pitches and the live evaluation, 5 finalists – the best of the bests – were invited to the main stage of the BIM World to showcase their achievements and convince the audience in their smart solutions. After another round, the decision was made by the jury on stage: the winner of the 1st BIM / Smart Construction Award is VOXELGRID! 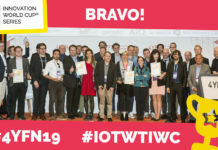 On top of that, all finalists have been grated the chance to test their smart products at the Fraunhofer Institute’s testing fields and become part of the largest ecosystem for the digitalization of the building industry in DACH. Who are they – the BIM/SMART Construction Award finalists? Automated space measurement & material recognition. “A really good invention has to be easy for everyone to apply. VOXELGRID uses a lot of high-tech to easily create 2D plans for existing buildings as quickly as possible. I am very pleased that this idea could convince at the BIM World”, says Christian Wetzel, CEO VOXELGRID GmbH. VOXELGRID supplies B2B combined hard- and software as a service (H&SaaS), in order to create 2-D and 3-D Layouts, Material information and Information of equipment features for existing buildings. The data obtained with the VOXELGRID hard- and software are the most cost-effective basis for generating 2-D plans with variable attributes per room like room-number, the height of the room, the floor material. Abaut – Intelligent Data Analysis: How real-time information in construction processes and decision making are realized with sensors and artificial intelligence. Abaut brings EMBEDDED SYSTEMS, IoT and DATA SCIENCE to the construction, mining and craft industry and develops intelligent systems for the whole construction value-added chain – excavation of raw materials, production of building materials, construction and building maintenance. Our intelligent systems automate processes and produce unknown knowledge from the obtained data. SCAFFEYE – Scaffolding. Safe. Smart. Simple. Digital. Scaffeye optimizes scaffolding planning and administration – simple and digital. Jeanette Spanier has been working in the field of scaffolding for more than 15 years. Her Start Up Scaffeye & Moselcopter was born out of the individual processes in the scaffold construction company and in the era of digitalization. To discuss the scaffolding constructions in advance, Scaffeye offers scaffold 3D armor plan drawings already in the planning phase. Survey flights via scan or photogrammetry throughout Germany and beyond are also part of the broad solutions-portfolio. Thus, digital building twins can be erected for existing buildings. NOVA AVA BIM – Cloud-based solutions for BIM & cost management. NOVA Building IT provides high-level cloud-based solutions with Open BIM / IFC and Autodesk BIM360 integration for BIM & cost management. “Our cloud services are designed to enhance the entire workflow of estimating, tendering and accounting of construction projects. The seamless connection of 3D-model data with cost-related information and documents leads to higher transparency and helps to reduce time and effort, at any time and on any device”. BIM Designer – A BIM Server from design to operation. BIMDesigner is a software solution, developed in cooperation between Asset Management GmbH and pbb Architects Engineers GmbH. The BIM Designer serves as a pivotal cloud-based data platform for a project using Building Information Modeling. All data and information throughout the project lifecycle (graphical as well as alphanumerical) are being managed within the BIM Designer. At any point in time, all parties involved are able to access the provided data up to date according to their access privilege. Want to become the next BIM Hero? 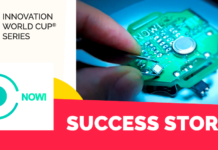 The database for the Smart Construction / BIM Innovation World Cup 2019 is already open! The pitches of all finalists, including the live-evaluation and the official pitch and award ceremony, will take place at BIM World PARIS. More than 10.000 innovators of the digital construction and real estate industry and urban planning meeting on 2 & 3 April at the BIM World in Paris! Let’s unlock the tech potential of the construction and real estate industry together! Participation is free of charge! Submit your solution today! The press release was originally published on the BIM World Munich website. 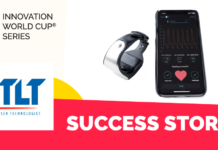 The Innovation World Cup® Series brought the first Smart Territory Digital Challenges Award to Paris! 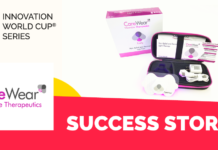 CareWear® Wearable Therapeutics – Stick, Click and Go!